We all place high value on customer service. In Samsung's case the human touch they included in their response to a playful request for a free Samsung Galaxy led to a lot of positive PR. 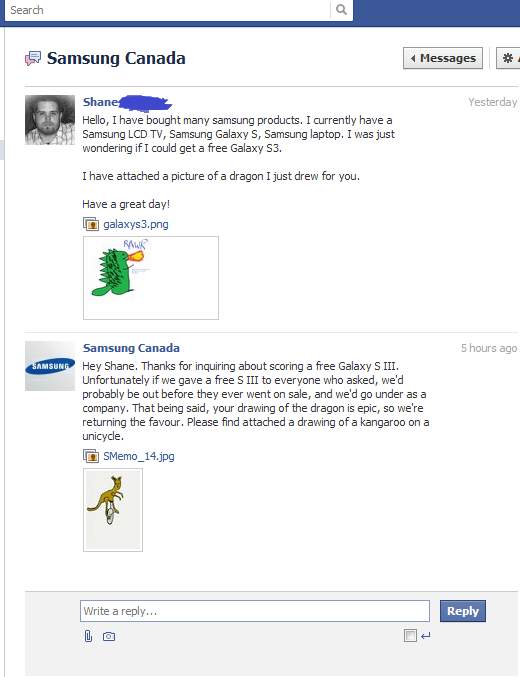 Shane, an loyal Samsung customer submitted a doodle of a dragon on Samsung Canada's Facebook page as an advance token of gratitude to his request for a free phone. 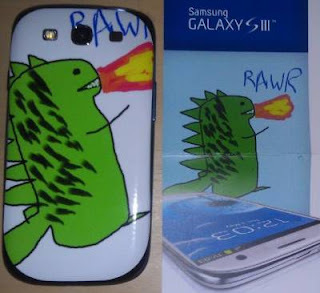 Samsung responded politely and with a witty kangaroo doodle. This personalized response prompted Shane to share his positive experience with the greater cyber community on Reddit.com forum, catapulting a wave of PR for Samsung. To show their gratitude, Samsung thanked Shane by giving him a free phone afterall and enrobed in the original dragon doodle.